Check out this beautiful cover to Amy Harmon‘s next novel, The Smallest Part, coming February 13, 2018. 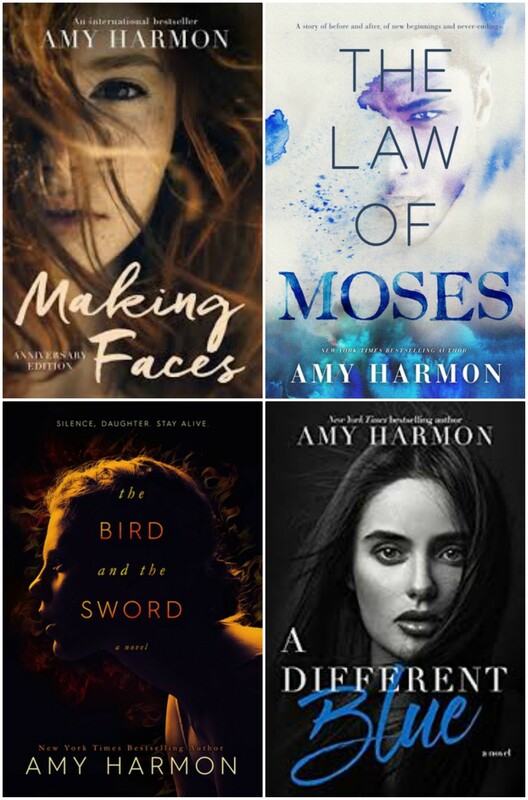 Find Amy Harmon here: Website, Facebook, Facebook Fan Group, Goodreads, Twitter, Instagram, BookBub, Pinterest, Amy’s Newsletter Sign up, Amazon. Happy Release Day Christopher Harlan. His novel Calem is a Contemporary Romance with a Happily Ever After. Pick it up today! “CALEM”, Book 1 in Christopher Harlan’s brand new, New York’s Finest series, is live today on Amazon HERE: https://www.amazon.com/Calem-New-Yorks-Finest-Book-ebook/dp/B0757NLYPP/ Every purchase is worth 1 entry into the giveaways below. About Calem: In Calem, the first of the New York’s Finest series from contemporary romance author Christopher Harlan, a renowned psychologist and an embattled NYPD detective join forces to end the city’s reign of terror, finding salvation and love in each other’s arms in the process. Dr. Cordelia Summers is a brilliant psychologist. Well respected among her peers and patients alike, she lives only to help others with their problems. While consulting with her colleague on a case, she realizes that her feelings towards him are more than just friendly. Enter Detective Calem Walters: brave, intelligent, and a reluctant hero, he’s the best the NYPD has to offer. He’s worked some of the city’s most dangerous cases and his latest may be the worst. His self-sacrificing nature calls him to duty, but he’s struggling with the stress of a failed relationship and the burden of a long chase with one of the worst criminals of his storied career. Can Cordelia help unburden him and help him catch the man who holds the city in his grasp? And does he share her romantic feelings? A Happily Ever After (HEA) contemporary romance series with each book set in a different borough, the New York’s Finest series will follow the interconnected lives and loves of five NYPD officers. The events of book 1 take place in Manhattan. Book 2, Jesse, will be released in the fall of 2017 and will be set in Queens, the author’s home borough. Grand Prize is 12 signed books from all the guys in the R&E frat; second prize is a signed and annotated copy of Calem with a bonus original story not published elsewhere, and 3 third prizes include signed copies of the Impressions Series (signed by Christopher & BT Urruela, who appears on the cover of book 2). All the prizes are valued higher than the book itself, so please enter to win. His release party, which he’d love you to attend, is hosted by Bodacious Babes Blog (which you can join here: https://m.facebook.com/groups/1582535312012385) from 6-9pm EST (or, 5-8pm CDT/4-7pm MT/3-6pm PDT). ALL the members of the Romance & Erotica (R&E) frat will be attending and posting, including: BT Urruela, Jackson Kane, Mickey Miller, Scott Hildreth, Chris Genovese, Seth King, Dereck Cromwell, and Rob Somers. Christopher’s slot will begin at 8:45pm EST (or, 7:45pm CDT/6:45pm MT/5:45pm PDT), where he’ll be going live to talk to everyone! Find Christopher Harlan Here: Website, Goodreads, Amazon, Twitter, Facebook.